Rubber products are broadly classified into three tiers namely tires, industrial rubber product that are primarily used to manufacture aircraft, motor-vehicle and for the construction of rail road. 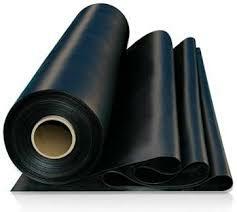 Lusida Rubber Product’s Inc is a firm which specializes in manufacturing rubber products. Some of them are also used to produce bathing caps, gloves, rubber rings and mats. There are quite a few rubber products which are made out of hard raw rubber while some are produced out of latexes. Gloves, rubber thread and foam rubber seats are just to name a few. There are two major stages involved in the production of rubber products. In the initial stage, raw rubber is mixed along with essential ingredients to produce rubber stock with the help of a milling machine. During the last stage, semi-finished rubber products are vulcanized at temperatures 200 degree Celsius. Some of the common types of vulcanization equipments are apparatus, boilers and even presses. Equipment is chosen depending upon the type of rubber products to be produced. Industrial rubber goods comprises of molded and un-molded goods, hoses and conveyor belts etc. It is estimated that there are about 30,000 molded industrial rubber products such as sealing and shocking absorption, packing, oil prevention caps etc. Unmolded industrial rubber goods have nearly 12000 unmolded industrial rubber products. They are primarily used to seal windows and doors of standard vehicles, aircrafts and rail road cars etc. Conveyor belts are exclusively designed to transport materials etc. There are plenty of rubber manufacturing companies who have gained expertise in the production of rubber. However, Lusida Rubber Products, Inc. is the only renowned rubber manufacturing company who strives to offer top quality rubber products to the discerning clients.